One of my favorite things about using Swagbucks is that I can get rewards for searching the web through their search engine. Every now and then they have "Collector's Bills" worth bonus SB points that you can collect by simply searching the web. Collect them all, and you get an SB Bonus! 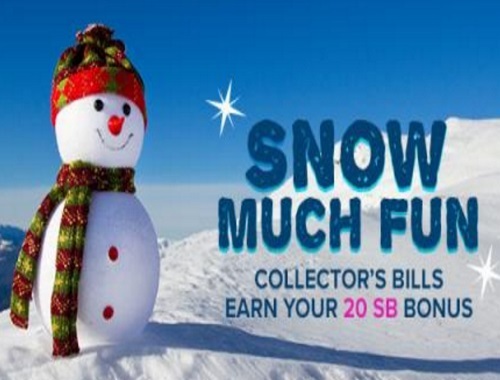 Once you've collected enough SB, you can redeem them for gift cards to stores like Walmart, Target, and many more! Search the web through the Swagbucks search starting Monday, January 2nd through Sunday, January 8th, and when you get a search win, you may get a special Collector’s Bill valued at either: 5 SB, 7 SB, 9 SB, 11 SB,16 SB, 22 SB.